Register today for this holiday workshop and create family members Christmas Ornaments from clay! Bring the kids and have everyone make their own! Don't forget one for Mom, Dad, Grandparents, Aunts & Uncles-pets too! You must pre register and pre pay for this event! Fill out the form below to be part of the fun! These ornaments are sure to be a keepsake for years to come! Create something special for someone special! Please allow 4 weeks for completion as clay requires air drying and 2 firings. 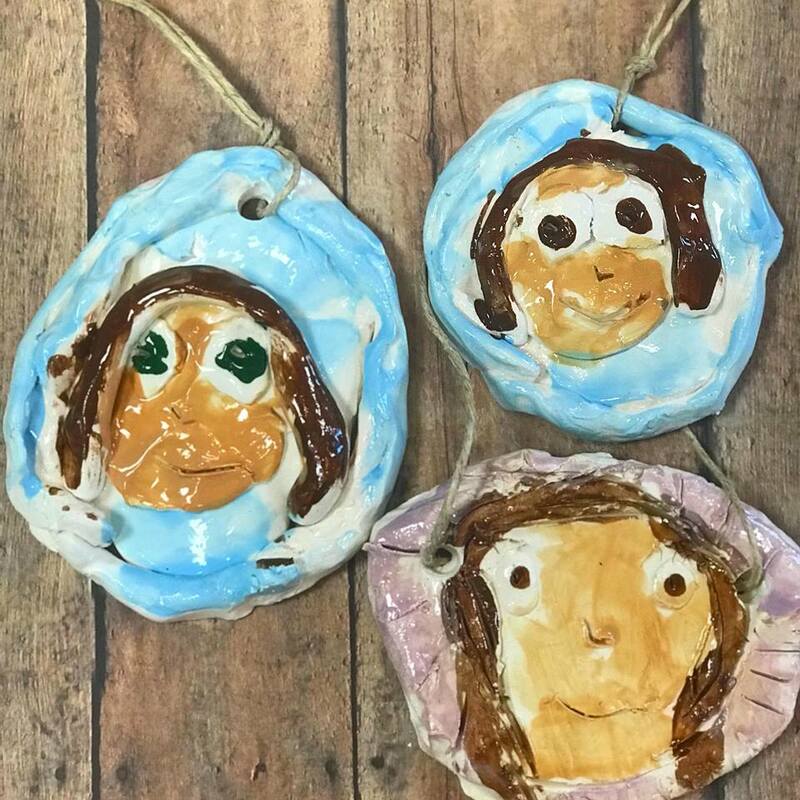 ​Ornaments will be created by you or your child in wet clay and painted with underglazes the same day! By clicking I Agree you understand that your payment is non-refundable and non-transferrable and must be used for the activity date and time that you booked.